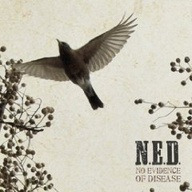 No Evidence of Disease T-Shirt — N.E.D. Rock out in your very own NED T-shirt. This black crew neck comes in S, M, L, and XL.